Home Nutrition Creatine: The Only Supplement Worth Taking? There has been a fair amount of conversation surrounding creatine over the past few years. While many bodybuilders, fitness enthusiasts, and athletes swear by its ability to maximize performance, others either find it to be unnecessary or having side effects that negatively impact the user’s body. To determine the effect that creatine has, we need to first look at what it is and how it is meant to work for the body. Creatine, most simply put, is a compound formed in protein metabolism involved in the supply of energy within the muscles. To go a bit more scientific without too much confusion, this creatine becomes creatine phosphate and facilitates the recycling of adenosine triphosphate (ATP). ATP is a quick energy source that is used during quick and intensive energy requirements. Requirements such as sprinting, athletic training, and weightlifting. More creatine, more creatine phosphate. More creatine phosphate, more ATP. More ATP, the more effort you can put forth in a workout. You can see why athletes and bodybuilders alike would be interested in such a solution. Now creatine does not directly interact with the building of muscle, which is a common misconception about the substance. Creatine, through its ability to store additional energy, indirectly affects building muscle by giving the user the ability to work more intensively during an exercise session. Before we go into any more detail about the supplementation of creatine, it’s important that we recognize the fact that creatine is found naturally in both our own bodies and in certain meats. Amino acid is found naturally in all vertebrates, which means that creatine is also inherent in all vertebrates. Using arginine, glycine, and methionine, our bodies internally manufacture creatine. Naturally, your body also will produce more creatine depending on the type of diet you maintain. Fish as a natural source of creatine provides about 2.5 grams of creatine per 4 cooked ounces. This number can vary based on the type and quality of the fish being consumed. Wild caught fish will always be a better source than farm raised fish. As mentioned with wild game, fish is also a naturally lean source of meat that is low in calories and has the right kind of fats. With the idea of increased energy in mind, there are many benefits to bodybuilding, athletic training, or even general exercising and strength training. Creatine leads to higher energy stores in the body, which increases our bodies’ ability to workout harder and longer than someone who was not using creatine. Fast twitch muscle fibers are supplied with immediate energy, so they are able to work harder before immediate fatigue kicks in. Going harder and longer means that you are able to get more reps and/or sets in at the gym. Instead of grinding out that 5th rep, you could be grinding out a 7th. If you’re doing sprint training, you’re going to be able to perform more sprints, or at the very least, the same number of sprints at a better rate than before. Each workout session becomes more productive than it otherwise would have, which translates to a week of more productive sessions, a month of more productive sessions, and so on. Not only does creatine help you train longer and harder, it has been proven to lead to quicker recovery. Creatine reduces the cellular damage of muscles after rigorous training, as well as decreases inflammation. This means that your soreness after a workout, game or exercises session will not be as severe. How many times have we all skipped a day at the gym because we were too sore from an intense training session the day before? How many times did we not skip the gym, but felt as though our workouts were not as productive because of soreness? Creatine can help minimize these instances, once again leading to more productive sessions, weeks, and months. With increases intensity and decreased recovery, our production is multiplied through in multiple ways. With that in mind, we are able to meet physical goals quicker than we could have without the benefits of creatine. If your goal is to build muscle, creatine can certainly help. If we look at what creatine does for us in terms of increasing our ability to sustain intense workouts, and allowing us to recover quicker from those intense workouts, then we naturally will increase strength and muscle mass. It only makes sense. If your goal is to build muscle then you can only benefit from the additional energy provided through creatine. More intense workouts and quicker recovery leads to quicker strength gains. Strength gains lead to muscle gains. If your goal is to lose weight, creatine once again has your back. High intensity interval training (HIIT) is proven as one of the best exercises to lose weight, especially with sprints. Creatine improves sprint performance by allowing you to sprint harder and longer. If you can sprint longer and harder, you’re able to burn more calories. Weight loss is calories in versus calories out, and making sure that the out exceeds the in. So, if you’re exerting more energy and burning more calories, you are able to widen the gap between inbound and outbound calories while eating the same. We’ve already discussed how the training portion of athletic performance is improved. You can train harder and longer, build strength and muscle, increase recovery between exercises, and string a bunch of more productive workouts together. We don’t need to beat a dead horse with those concepts, because all of those contribute towards becoming a better athlete. However, now we can talk about in-game performance. Remember, creatine’s conversion to ATP leads to immediate energy and recovery. Games aren’t short, and you want to be able to put in the full 60, 90 or whatever length of time you have without falling victim to fatigue. Creatine will help you to keep going late into the game with high intensity. Those who are against creatine will often refer to the negative side effects that creatine can pose to those that use the popular supplement. The fact is that many times these accusations are unfounded. So let’s refute the claims against creatine real quick shall we? The reality is that there are plenty of studies you can look up that prove that taking creatine long term has no negative side effects in terms of liver or kidney issues. The confusion often stems from the fact that creatinine levels are high upon creatine supplementation. Creatinine is used to diagnose kidney issues, but in the case of supplementation is not relevant to any negative effects. Cases that have shown a link to creatine and renal diseases are isolated cases where individuals with already existing diseases had additional symptoms due to creatine usage. For healthy individuals, there is not link here. If you do have renal health issues, be sure to consult a doctor with any additional supplement you are curious about taking, creatine included. Again, I’m not sure where these claims are being made. It is likely that a couple individuals on a team may have gone down with pulled muscles and happened to be taking creatine. Research and due diligence, however, proves that creatine taken long term leads to no difference in muscle pulls or cramps. There are plenty more where these came from, but you get the general idea. People find isolated incidents where a connection could potentially be made and use it to bastardize a supplement that has been proven time and time again to have only benefits. Now there are a handful of different types of creatine out there in terms of available supplements. Many claim to be the next big thing in creatine or have additional benefits than the original creatine monohydrate. Creatine in its most natural form. This basic and time-tested supplement is what has been used in every test and study of creatine, and has been proven time and time again to give great results, the benefits of which we’ve been discussing all along. This is a micronized for mof creatine that those who push the product will say takes less to achieve the same benefits. Since you don’t have to consume the same amount as creatine monohydrate, you don’t need to consume as much water for the benefits to take place. Therefore, you will not have as much bloating due to excessive water retention. Once again this form of creatine requires smaller dosage to achieve the same results, by binding creatine and nitrate molecules. Kre-Alkalyn is a type of creatine that also contains a bit of an alkaline powder like bicarbonate. Because of this buffering alkaline, those that are proponents of this type of creatine argue that the creatine breakdown in the stomach is reduced, improving creatine going to the muscle. An additional perk of this type of creatine is that there is no “loading” period. 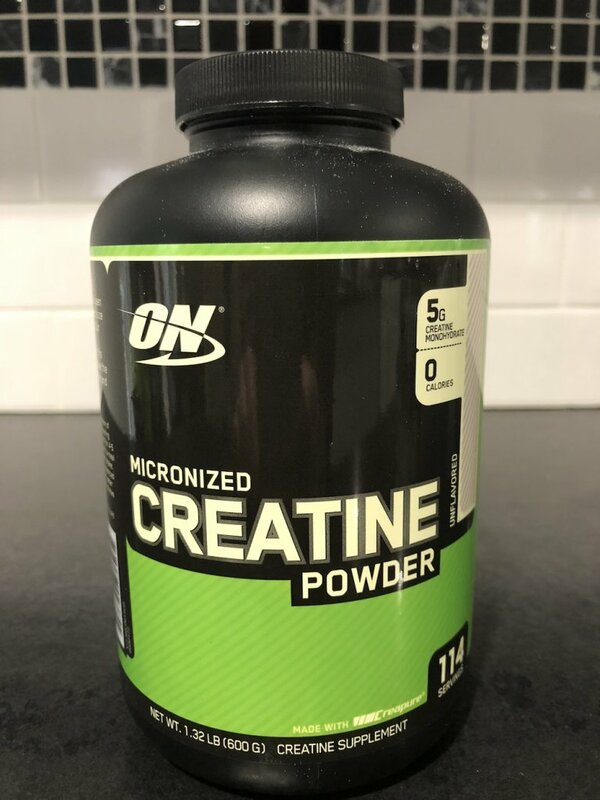 Normally, when using creatine monohydrate, you will see instructions that detail a loading period where you should take a scoop of creatine 3-4 times a day for a couple days to acclimate the creatine to your system. After that, the normal, single scoop is taken each day. In my opinion, stick with the basic creatine monohydrate. Plenty of studies have been done proving the effectiveness of this type of creatine, and there is no need to get fancy with this supplement. If you want all of the effects and benefits of creatine, go with monohydrate and get ready for higher intensity workouts. There are tons of supplements out there. Often we get lured into taking 4 or 5 different supplements to achieve our goals because we think we need every advantage we can get. Honestly, many are completely unnecessary and simply give you the mindset that its helping so you’ll continue to reach out and spend more and more money on supplements you may not even understand. Creatine, however, has been proven to work, and for that reason, is the only supplement you really need. Protein powders can be added as well, but that’s a conversation for another day, because of all the additives and unhealthy ingredients that many protein powders have. Creatine monohydrate, however, is safe, proven, and will help you get to where you want to be physically. Whether you are an athlete training for your upcoming season, a runner trying to put in the work to lower your times or train for that upcoming marathon, a bodybuilder putting on strength and muscle, or someone just trying to get in great shape, creatine is a great way to utilize high energy workouts to make it happen. High intensity, quick recovery, and productive workout sessions are concepts that we can all get on board with. So if you’re not already taking creatine, give it a try, and watch how each exercise, workout session, game, or run is improved.